Free and Open to the Public – There will be a workshop in Poughkeepsie tomorrow. I am also hosting a workshop in Wappingers Falls this Saturday. Please read for details. Thank you! 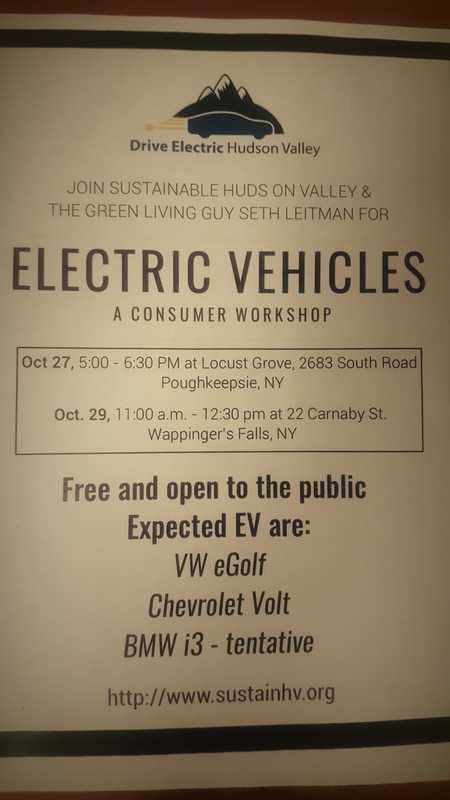 Posted in Events, Local Happenings and tagged #legislator_14, Consumer Workshop, Drive Electric, Drive Electric Hudson Valley, Electric Vehicles, Francena Amparo, Legislator Francena Amparo, Poughkeepsie, Sustainable Hudson Valley, Sustainable HV, Wappingers Falls on October 26, 2016 by Dutchess County Legislator Francena Amparo.